Personal Training should be exactly that ... personal. Our sessions are individualized and developed specifically for you, based on an initial evaluation and assessment. A one-on-one training session geared to your specific needs and goals. Your initial assessment will include a movement assessment and measurements. Enjoy the same level of attention you'd get in a private session, while enjoying the social benefits of working out with 2 - 8 people of similar levels. The MVe Pilates Chair is a great way to put variety into your exercise routine. A chair workout is challenging and can be adapted to any fitness level. It focuses attention on core muscles that help keep the human body balanced and provide support for the spine while still giving you a total body workout. Though the basic design is simple, there are a variety of exercises that can be performed on the Pilates chair. Exercises are done lying down, sitting, and standing, as well as from positions to the sides of the chair. One can expect a lot of stability, balance, and flexibility work during this workout. Sessions led by Jen Moslener. Get into fighting shape with sessions that revolve around fight conditioning (boxing, MMA, kickboxing). These sessions will help you to build core strength, power, endurance, balance and overall strength, all while learning the striking techniques used in fighting. This is a fun and challenging way to get battle fit and learn some self defense skills while you're at it. Sessions led by Windy Taff. This training is offered Tuesday, Thursday, and Saturday, by appointment only. Ignite 360 training is an intense fitness discipline and training system based on the core elements of sports performance that challenges each individual to maximize his or her potential and enhances the athletic engine through challenges and workouts rooted in movement, balance, and strength. Ignite 360 exercises fall into four main categories within workouts: Dynamic warm-up (DW), Core-posture (CP), Explosiveness-quickness (EQ), and resistance training (RT). Within each category, there are also designations for specific sports, all sports, or elite performance, dialing in the focus of each exercise to meet a specific athlete's needs. Team training, 1 hour session: $10-20/person, depending on number of athletes. Strength & Power instruction teaches the fundamentals of the major powerlifting exercises: Squat, Bench, and Deadlift. Focusing on building functional strength as well as increasing overall power, these training sessions also include accessory programming to ensure a well-balanced strength methodology. Strength & Power Training sessions can be used to supplement other exercises or training regimes, or can be used to prepare for lifting competitions. While well suited to 1-on-1 sessions, Strength & Power Training is easily adapted to small groups. 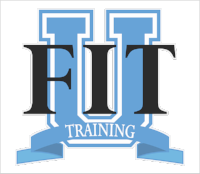 Whether your endeavors include weightlifting, bodybuilding, or just increased functional strength, this training offers individualized programming to suit your goals. Sessions led by Charity Ayre.